Juicing has never been easier. 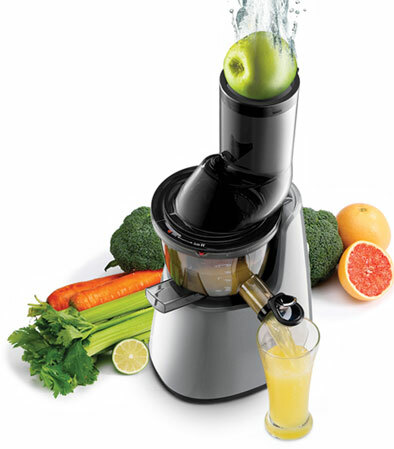 Using less time in preparation, Kuvings Whole Slow Juicer C7000 produces a glass of fresh juice in just a few seconds. With its bigger feeding tube, 3 x 3” fits apples, oranges, tomatoes and more. This unique Kuvings Whole Slow Juicer can crush and squeeze whole apples at once. 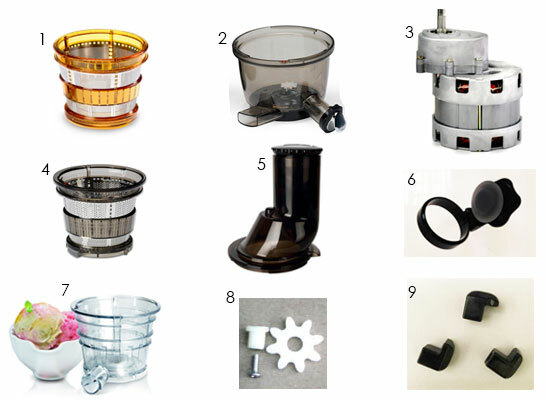 With its JMCS (Juicer Module Comprising System) Juicing Screw, this slow juicer squeezes and presses fruits and vegetables, extracts and retains nutrients and enzymes for a healthy juice. Fresh juice allows your body to absorb about 4 times more nutrition than by eating whole fruits. 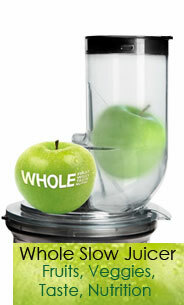 The machine works quietly and easy clean-up after juicing.